Among the grinning and guffawing faces on the cover of this small but elegant exhibition catalog, one need not search hard for a theme. 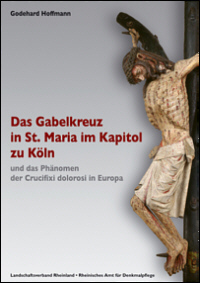 The title says it all: in medieval Christian Europe, smiling was prized and laughter disdained. The show, held in Mainz in 2012, comprised fifty-three works of art - two textile fragments and thirty sculptural pieces (eleven of them plaster casts or carved replicas) drawn chiefly from the collection of the Dom- und Diözesanmuseum, and twenty-one graphic works from the Martinus-Bibliothek; the works range, chronologically, from a plaster cast of an ancient portrait of Aristotle (cat. 01) to a cast of an eighteenth-century Italian head of a grinning fool (cat. 53). These busts join the cheerful French cathedral sculptures gracing the essays' illustrations to give the book the appearance of having pan-European scope, but the focus of the exhibition was firmly on Germany. Not surprisingly, the centerpiece was the magnificent set of Last Judgment reliefs made for the former Westlettner of Mainz Cathedral in the 1230s by the team associated with the Naumburg Master. 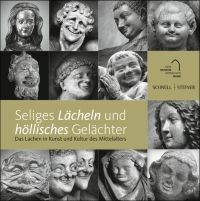 The smiling child who attends the Elect, along with Reglindis from the Naumburg west choir (represented here by a polychromed plaster cast), are cited throughout the book as exemplars of the new validation of smiles that, the authors contend, characterized High Medieval art and culture. But given the somberness of the other Elect figures' (not to mention the Naumburg donors') expressions, and the restraint we find in the medieval and early modern faces shown here compared with the ebullient satyr from ancient Greece (cat. 03) or Desiderio da Settignano's mirthful Renaissance boy (cat. 19), readers may find confirmation of the prevailing view of the Middle Ages as a rather dreary period. The grainy black-and-white photos of Gothic sculptures that introduce various sections of the catalog will not dispel this impression. The textual sources assembled in the contextual essays support a view of the period as uninterested in, if not hostile to, humor. In the first two essays, Marius Reiser lays out the ancient, biblical, and patristic sources that mention the expression of positive emotional states, distinguishing between those that are sincerely felt (surprise, love, joy) and those directed at others (mockery, contempt, Schadenfreude). Whereas Greek epics allowed men and gods to display a range of expressive behaviors to suit those feelings, the Judeo- Christian scriptures curtailed them. Whereas most cases of laughter in the Hebrew Bible involve characters (including Yahweh!) mocking others, the Christian Gospels never mention Jesus laughing. The latter point was the subject of much discussion in early Christianity and beyond, and formed an important, though not the only, basis for the repeated injunctions against laughing in medieval monasteries - a point well known to readers familiar with Umberto Eco's The Name of the Rose, a novel whose frequent citation here lends it the authority of a patristic text. 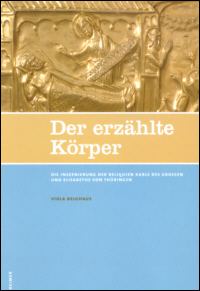 Winfried Wilhelmy's essay continues the story, surveying mostly Latin texts from the entire period from 300 to 1500. Here we witness a shift from a suppression of happy expressions in the early Middle Ages to an acceptance and even embrace of the smile in the twelfth and thirteenth centuries. This is presented as a top-down phenomenon, a sanctioning of smiles by learned elites that found reverberations in art. The writings of Aristotle, which gave scholars a fresh appreciation for nature, also taught them that laughter is the one expressive behavior unique to humans; Jesus may not have been described as laughing, but he could have done so. Excessive laughter should still be avoided, of course, but moderate laughter was useful in revealing inner joy and cementing social bonds. As Wilhelmy presents it, this elevation of jocundity did not last long; the gloomy fourteenth century, with its plagues and famines, would soon wipe the smiles off people's faces in both life and art, replacing them with mystical gloom and an obsession with death. One must comb the catalog entries carefully to find mention of points that complicate this familiar narrative - the bliss sought and found by many late medieval mystics, for example, or the jocundity associated with St. Francis. Already in the eleventh century St. Foy was playing practical jokes on her devotees. Surely the monastic texts that here represent the early Middle Ages, aimed at regulating the resident communities, do not tell us much about the culture at large. Might not the very repetition of injunctions to refrain from merriment indicate that expressions of happiness were commonplace? And what of the smiling Schöne Madonnen and literary cultivation of hilarity that emerged in the late Middle Ages? Readers troubled by such questions will be grateful to find in Ralph Köhnen's essay evidence for the centrality of laughter in the vernacular cultures of the later Middle Ages, encompassing miracle plays and carnival festivities, courtly games and spectacles, farcical nonsense poems and Schwankromane - textual analogues of the drôleries that fill the margins of medieval manuscripts. This form of comic culture culminates (and ends) with the elevation of the Fool to heroic stature, and the revelation of laughter as ridiculous, in the satirical writings of Erasmus and Sebastian Brandt. With Monika Müller's essay, visual arts take center stage. Her story hews close to Wilhelmy's, with the sobriety of the early period giving way to the cheer of the High Middle Ages. Yet the master narrative does not always map neatly onto the visual evidence. 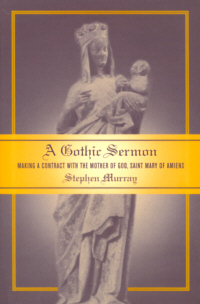 Just as a monastic rule is not indicative of an entire culture's attitudes, so the lack of facial expressivity displayed in, say, Ottonian manuscripts does not necessarily tell us that their makers and viewers were disinterested in feeling; far from it, given the outpourings of emotive language we find in letters and biographies of the time. It would have been interesting to see how early medieval artists deployed other means, such as bodily gestures or colors, to reveal the emotions that facial movements would come to express later. Facial expressions themselves could be deeply ambiguous and subject to a viewer's projection, a point that emerges from Müller's own readings. She counts the monk and two pilgrims who march toward the center of the lintel on the Last Judgment tympanum at Autun as being among "den frühesten Darstellungen des Lachens überhaupt," but their open mouths give no indication that they are expressing joy; one man indeed clasps his face in his hands in an ancient gesture of despair or worry (Abb. 40). It is no easier to see a "deutlich lächelnden, geöffneten Mund" in the deadpan figure of Salome who flips before Herod in a wall painting from Wienhausen (Abb. 51). These examples raise a question that haunts Müller's essay, Jörg Widmaier's article on the masks at Reims Cathedral (interpreted here, humorlessly and unconvincingly, as embodiments of vice), and many of Wilhelmy's catalog entries: how do we distinguish good smiles from bad ones in visual art, and either kind from laughter - particularly in a period that did not always prize mimesis? The assessments here are inconsistent and arbitrary. The Autun figures, with their gaping, downturned mouths, are described as Lächelnde (72), whereas the Naumburg Reglindis and the child on the Mainz choir screen, whose lips are pressed tightly together, are Lachende (p. 74). The visible teeth of the angel from the Kefermarkt Altarpiece (cat. 27), normally a "Zeichen tiefsten Lasters" (180), receive elaborate justification, although other angels bearing glad tidings also smile with open lips (e.g., those at Bamberg [Abb. 54] and Regensburg [Abb. 102], the latter unmentioned in the text and printed in reverse at the end of the book); the open-mouthed giggle of Desiderio's boy, by contrast, which reveals tongue as well as teeth, manifests an angelic innocence and purity (162). The latter work, whose context and purpose are not explained in the catalog entry, makes even the jolliest the northern examples look astonishingly staid, and forces open the question of artistic agency. Is the abundance of softly grinning faces we find in Gothic sculpture a reflection of a new acceptance of humor in the culture, or a natural function of the fact that stonecarvers were, at this moment, taking an interest in simulating the appearance of mobile, sentient human beings? Style and convention are factors not considered in these essays, which tend to see images as direct reflections of cultural attitudes and behaviors rather than products of training and purveyors of taste. Apart from a few of the enigmatic masks at Reims, not seen by the public, there are no faces in this narrowly focused catalog or in the wider gamut of medieval art that resemble the exuberant visage of Desiderio's laughing lad, or the merrymakers in the seventeenth- and eighteenth-century paintings discussed by Heike Frank-Ostarhild in the book's last essay. In the end, one comes away from this catalog reflecting on why High Medieval artists were so comparatively restrained in their use of facial expressions, given the value placed on the body as a communicative medium in their lived culture, and keenly aware of the active role of viewers in assigning deep psychological content to the slightest of visual cues. See also Jacques Le Goff: Das Lachen im Mittelalter, Stuttgart 2004. Cf. Barbara H. Rosenwein: Emotional Communities in the Early Middle Ages, Ithaca, NY 2007; C. Stephen Jaeger: The Envy of Angels: Cathedral Schools and Social Ideals in Medieval Europe, 950-1200, Philadelphia, 2000.